How energy users will benefit from the CMA’s remedies at home. The thing about shopping nowadays is that it’s easier to get what you want more cheaply – I can shop around and compare prices on the internet, supermarkets offer me lower prices to get my weekly shop and I can use my usage data to get a better deal on my mobile. It’s great. But if it’s so easy to get lower prices and better deals everywhere, why is it that 7 out of 10 customers of the 6 largest energy firms aren’t switching to cheaper tariffs? They could save around £300 if they switched right now. When did you last change your energy supplier? You probably can’t remember. And to be honest, while keeping warm and having hot water are important, shopping around for gas and electricity isn’t as interesting as shopping for clothes, food or holidays. 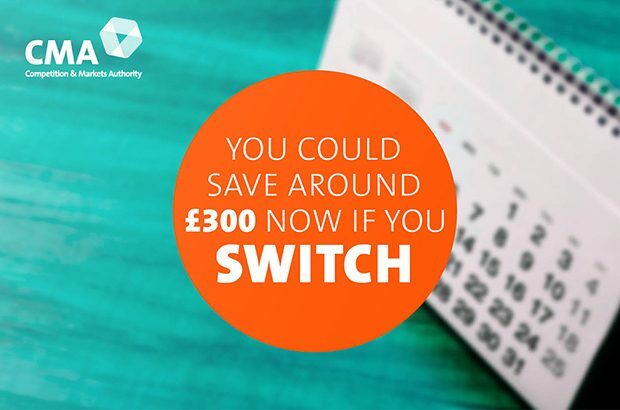 But, if you haven’t switched for at least three years, you won’t need to shop around for energy because suppliers will be able to send you better and personalised deals by post. If you don’t want these new deals you will be given the chance to opt out. So if you’ve been on a default tariff for at least 3 years energy suppliers will be given access to a secure database with your energy use and tariff on to offer you deals tailored to your needs. If you have a prepayment meter you’re likely to be paying more for your energy than if you had a standard meter. And you might not be able to access the range of tariffs that other energy customers can. So energy prices for prepayment customers are going to be capped until smart meters have been rolled out, when you’ll have more choices and it’ll be easier for you to switch. This could save you around £75 a year. You probably have an app which shows you exactly how much data your mobile phone has used – really simply. But it isn’t easy to understand how much energy you’re using and what you’re paying from your bill. And if you want to make better choices about your gas and electricity and have better deals you’re going to need better information. So you’re going to get the information you really need in a way that will help you to understand it – the energy regulator will work with suppliers to improve this for you, and smart meters will help too. If you decide to switch supplier it can be difficult to find how much energy you actually use for them to quote – you might not be able to understand the information from your bill, even if you can find it in the first place! So, with your permission, price comparison websites will be able to get information about your energy consumption so you don’t have to find it. This will mean more accurate quotations and it will make switching easier and quicker for you. When you shop at a supermarket your shopping basket’s contents and prices are specific to exactly what you want. But energy suppliers have been restricted to offering a limited number of tariffs. You’ll be able to find a deal that’s exactly what you want because suppliers will be able to offer a much broader range of tariffs. As the rollout of smart meters continues, these will include deals that reflect, not just what you use, but when you use it to reward you for using energy outside peak times. If homes can manage their energy better we’ll all use less. This will reduce costs and improve your impact on the environment. Price comparison websites will be able to provide lower priced, bespoke deals. Energy pricing will be more efficient as it will better reflect the cost of transporting energy from where it is generated to your home. The government will be clearer about how it makes decisions on energy generation and how much its decisions cost energy users and tax payers. The government and Ofgem, the industry regulator, will have more clearly-defined roles, and it’ll be clearer how their decisions affect the bills you pay. Do you run a microbusiness which uses gas and electricity? Many of these changes will also benefit microbusinesses – and we’re stopping them from being locked into costly rollover periods! Modernising the energy markets – how microbusinesses will benefit. For more information see our collection of materials and also our infographics on Flickr.